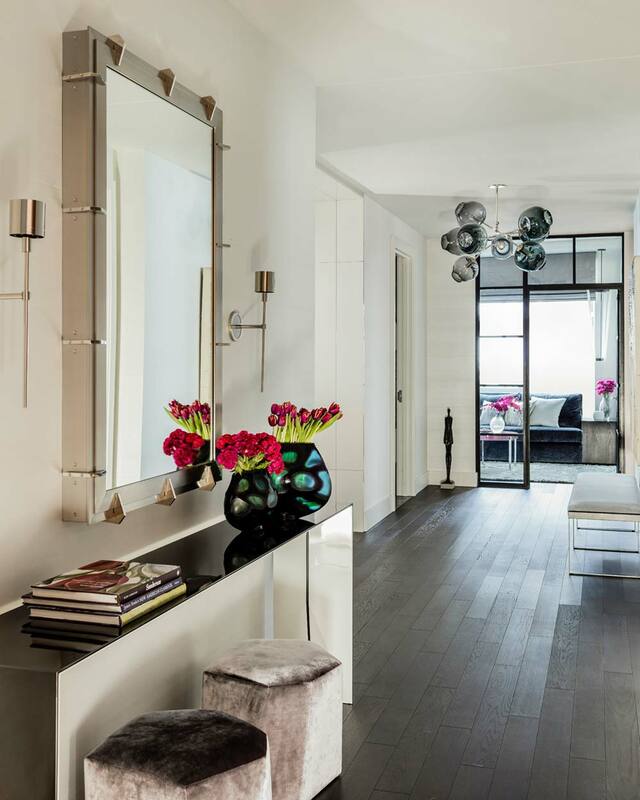 Light and airy meet bold and dramatic in our Seaport High-Rise project that was featured in the May/June ’18 issue of New England Home. The soft, neutral color palette of the open living area and the deep navy blues of the dramatic master bedroom are beautifully complimented by panoramic views of Boston Harbor, while the angled edges of the custom steel-and-glass doors to the family room are offset by the branching chandelier’s organic globes. The harmony of ethereal femininity and smart functionality makes this spacious apartment one of our favorite projects. Elms Interior Design is a full-service interior design firm with a focus on creating distinctive homes that reflect their owners’ values and personality. Whether we’re transforming an urban penthouse or a country vacation home, we listen closely to translate each client’s aspirations to create beautiful, functional spaces — for the life they want to live.